Zero Labs retro-mod Ford Bronco is electric; powered by a 70 kWh lithium-ion battery mated with a BorgWarner electric motor to deliver 369 horsepower and 190 miles of driving range. This emission-free classic ’ute retains its full-time 4X4 capability as well as a 5-speed manual transmission. The rest of the build leaves nothing to chance with components from Fox, Brembo, & Atlas rounding out the update. Only 150 will be made. 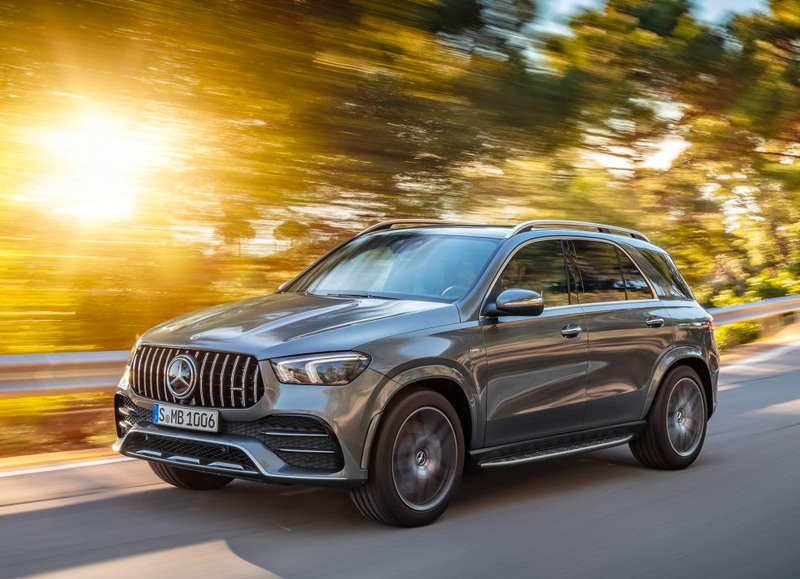 For 2021, Mercedes-Benz has created a performance-upgraded version of its mid-size GLE SUV. The forthcoming AMG GLE 53 will debut at the Geneva Motor Show where the 429-horsepower luxury ’ute is sure to draw a crowd. The powerplant is a turbocharged 3.0-liter inline six-cylinder mated to both a nine-speed automatic transmission and the brand’s 48-volt light-hybrid system. High performance & highly efficient. The AMG Active Ride Control system keeps handling nimble both on & off-road. The last iteration of the legendary Land Rover Defender was discontinued in 2016 but for 2020 it’s back and the design is all new. And more good news: it’s definitely coming to the USA. So far, all we’ve got is a fresh set of spy photos to ogle & we’re hoping we don’t have to wait too long into 2019 to see it undressed in all its boxy glory. 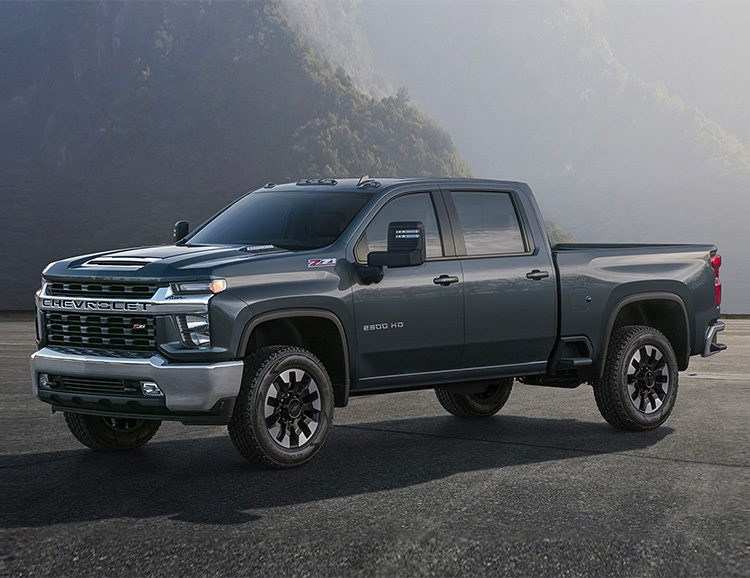 For 2020, Chevrolet has completely re-designed the Silverado HD models to be bigger, badder and even more Heavy Duty, including greater payload, hauling & towing capacity. The full specs aren’t out yet but we know they will be available with 2 engines, one being an optional Duramax turbo-diesel V8. Larger mirrors, a taller driving position, and steps integrated into the rear bumper and forward corners of the bed are all features designed to make 5th wheel trailering easier. 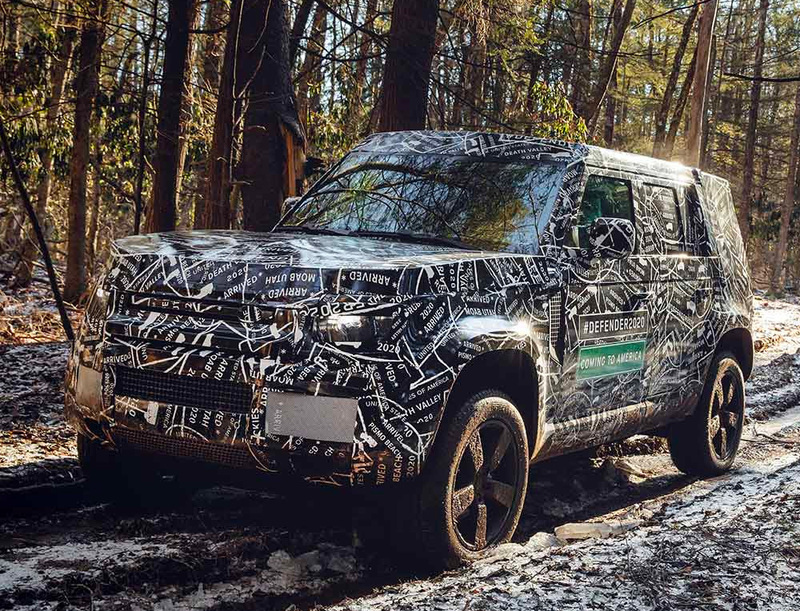 This week at the Los Angeles Auto Show, the highly anticipated 2020 Jeep Gladiator made its debut. 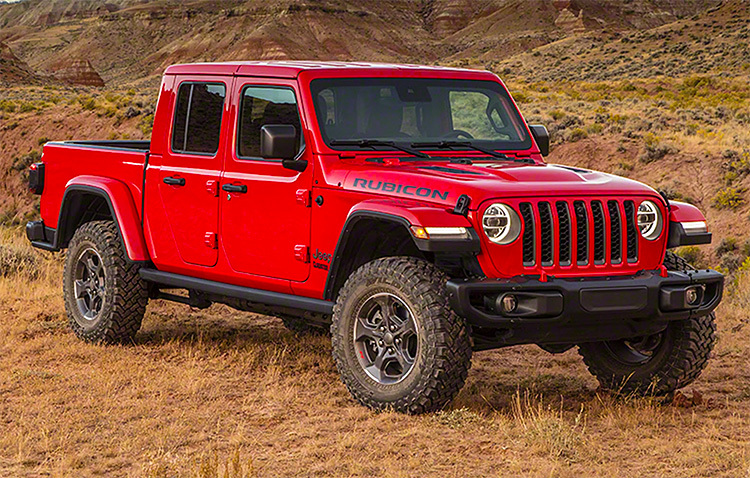 The all-new open air pickup is based on the existing Wrangler. It features 4-doors, a soft-top, and can tow up to 7650 lbs. – more than any competitor in the category. It’s the first Jeep pickup since the 80s-era Scrambler & the early 90s Comanche. 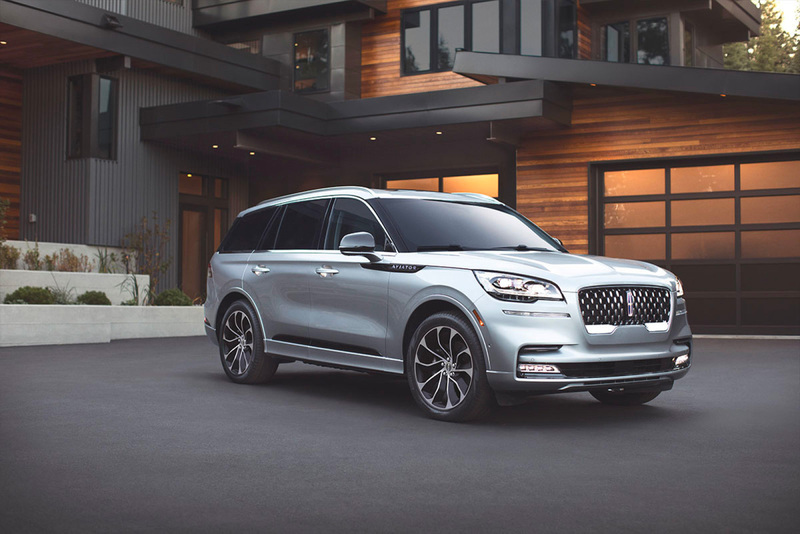 For 2020, Lincoln has made some serious upgrades to its popular Aviator. The 3-row, premium mid-size SUV will be offered with a 400 HP turbocharged 3.0-liter V6 or a 450-plus HP gas-electric hybrid. It features a range of weather-specific driving modes and loads of assistive features including adaptive suspension that will lower so drivers don’t have to step up so high to get in & out. Road Preview utilizes a front-facing camera that can detect potholes & bumps and adjust accordingly to keep the ride smooth. 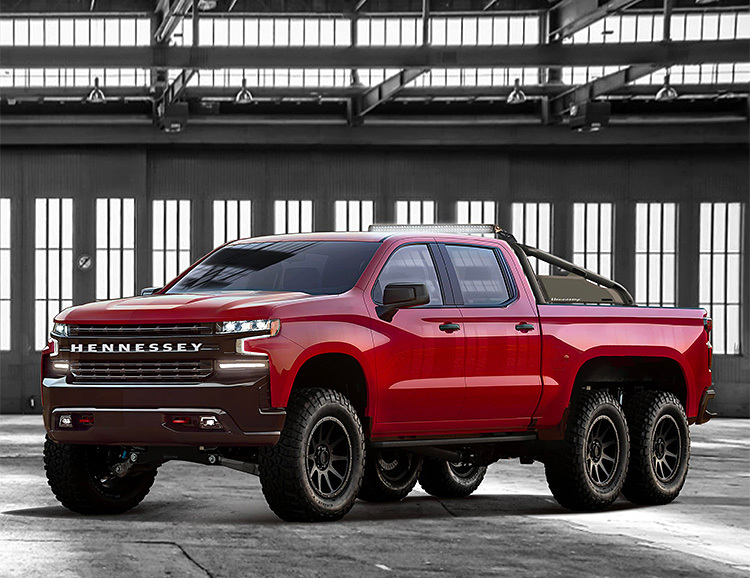 Based on a Chevy Silverado Trail Boss and powered by a 6.2L V8 engine fitted with a 2.9L supercharger, the Goliath from Hennessey is a 6X6 custom monstrosity. It got an 8-inch lift over the factory model as well as a custom interior, custom bumpers and rollbar, LED lighting, & it rides on six 20” Hennessey wheels. An upgraded stainless steel exhaust cranks the horsepower up to 705 with 675 lb. ft. of torque, for when too much is never enough. 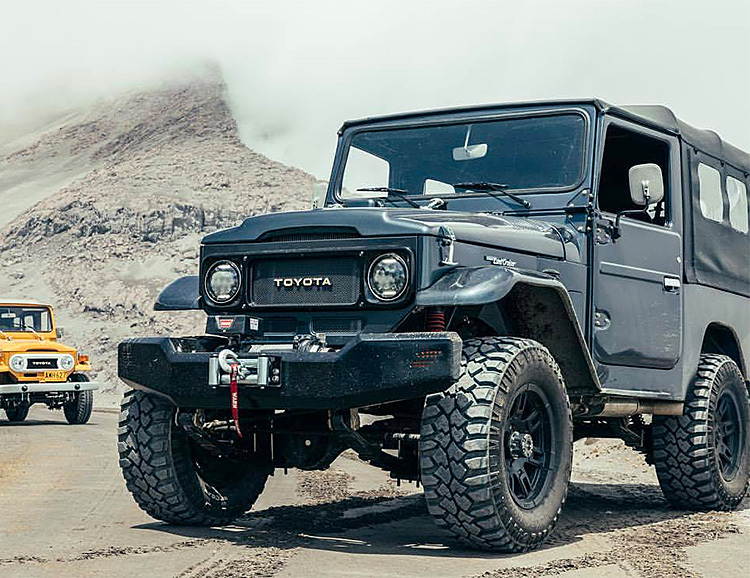 Dallas Texas’ Blackdog Traders turns original Toyota Land Cruisers into powerful, updated daily drivers that will be the envy of the executive parking lot or weekend rock crawl event. They hook ’em up with new heat and AC systems, Re-engineer them with modern components, upgraded suspension, and a factory new 6.0L 360 HP L96, 6.2L 430 HP LS3 engine, or the overkill 556 HP model. All get fresh leather interiors, premium sound, and Borla exhaust systems. 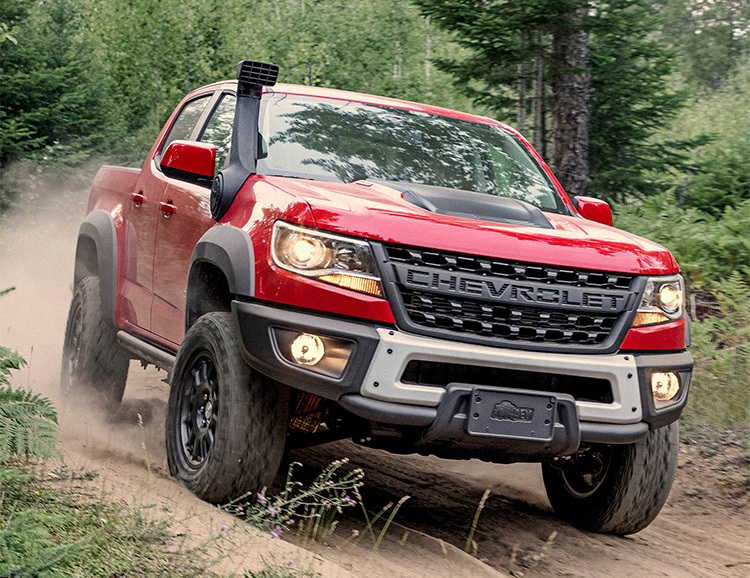 To create the 2019 Colorado ZR2 Bison, Chevy Trucks teamed up with high-end off-road mod specialists American Expedition Vehicles. AEV fitted the already beefy ZR2 with a total of 5 armored skid plates made of durable hot-stamped Boron steel, to protect the undercarriage from aggressive off-road action. They also designed special tubular bumpers & new fenders. There’s AEV branding throughout the truck as well as an optional dealer-mounted snorkel. This trick truck is also available with a diesel motor. 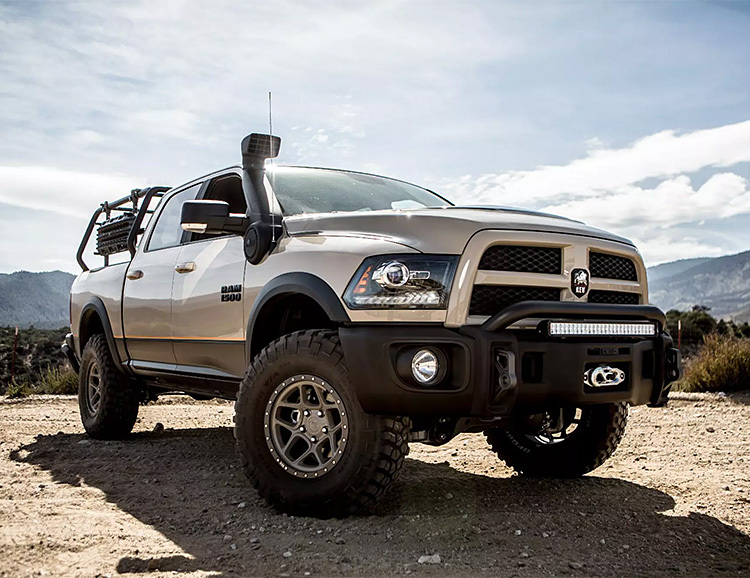 With American Expedition Vehicles’ new Recruit Ram 1500, daddy can cruise effortlessly from school drop-off to a remote river crossing without missing a single mud puddle. Their Recruit package features a DualSport suspension kit w/ a 4-inch lift & includes extended-length Bilstein shocks and adjustable struts. Snorkel. Skid plates. 20-inch alloy beadlock wheels. Auxiliary lighting. Leather interiors. Adventure ready, even if you’re just a sad suburban dad dreaming of real adventure. When a normal F-150 won’t quite cut it, go Raptor. For 2019, Ford’s consumer “race” truck gets an electronically adaptive Fox Racing Shox Live Valve suspension, giving it a different feel in Normal, Sport or Off-Road modes. There’s also a Jump mode that kicks in when the truck’s front tires leave the ground because… you’ll probably jump it. It still has over 13-inches of suspension travel and the twin-turbo 3.5-liter V6 still delivers 450HP. Due out fall 2018. Custom automaker New Legend is known for converting classic 4X4s into resto-mod masterpieces that combine 20th century styling with modern technologies. 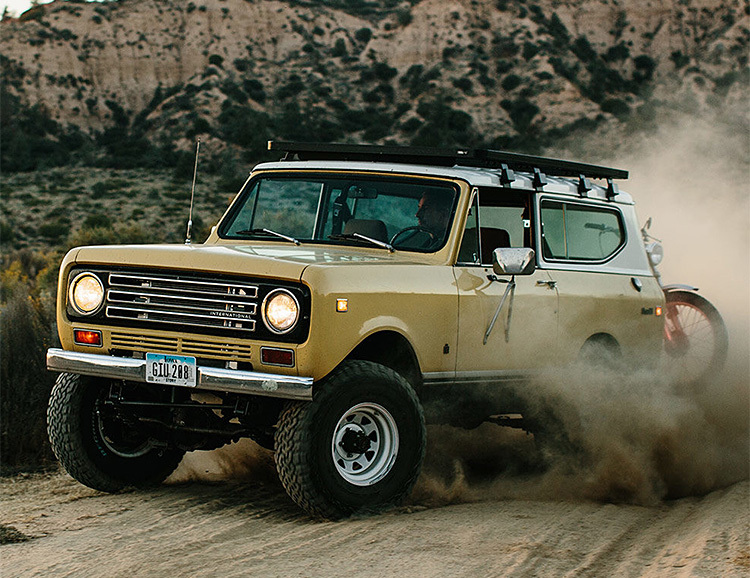 Their Runner series takes the classic International Scout & rebuilds it from the ground up with a brand-new 300-horse GM Vortec motor, upgrades and updates to the cooling, brake, steering, exhaust, and fuel systems. They also get lifted and fitted with 32-inch tires, modern Dana 44 axles with disc brakes, and three-point retractable seat belts. 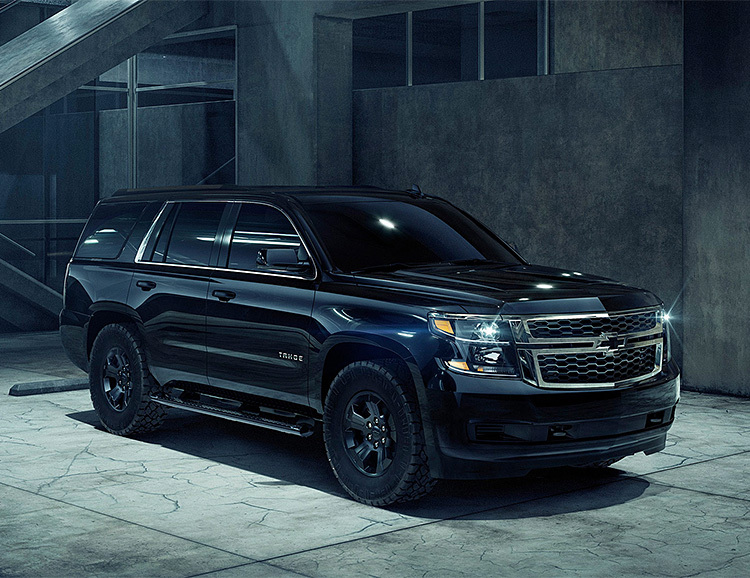 Chevy’s 2018 Tahoe Custom Midnight Edition is all blacked out: 18-inch painted black wheels with aggressive Goodyear rubber, a black grille, & black bowtie emblems. But there’s more: the vehicle’s third-row seat was removed for additional utility, increasing cargo space behind the second row to 54 cubic feet. There’s also tech: Apple CarPlay and Android Auto compatibility, 4G LTE with Wi-Fi hotspot capability, rear vision camera, teen driver mode, and other advanced safety systems. Toyota just rolled out its TRD Pro line for 2019. The range of performance off-road rigs includes juiced up versions of the 4Runner, Tundra, & Tacoma. 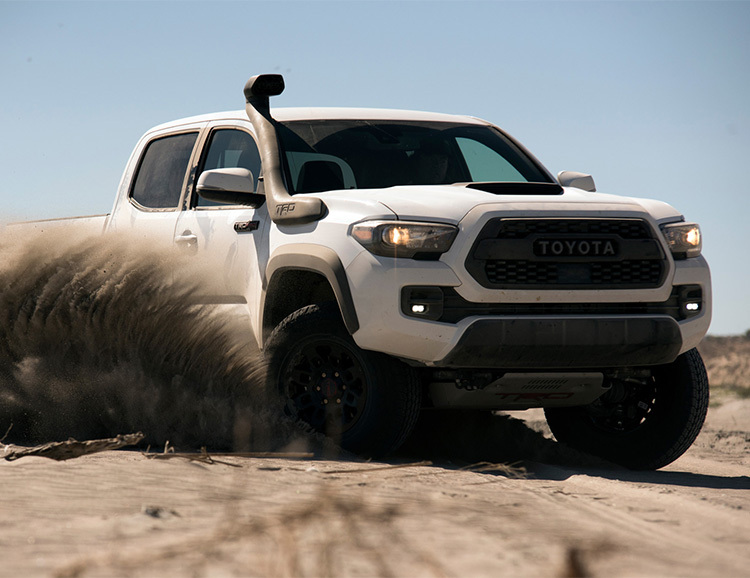 All 3 got 2.5-inch aluminum-body TRD Pro-exclusive Fox Internal Bypass shocks, offset alloy wheels that give them a 1-inch wider track, optional Desert Air Intake, upgraded LED lightning, and a full array of TRD branding and logos throughout. 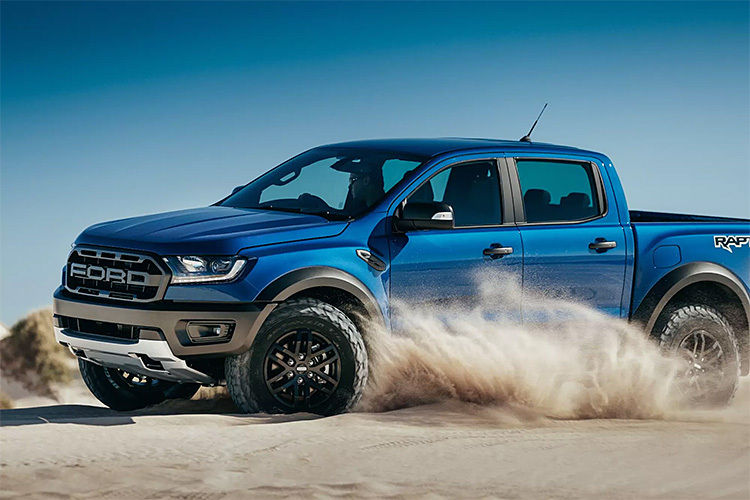 Ford has created Ranger Raptor, and this is no baby bird. This mid-size performance pickup got dialed with a 2.0-liter biturbo diesel engine with a 10-speed paddle-shift gearbox, Fox Racing shocks front and rear, 17-inch rims, & chunky 285/70 R17 all-terrain tires along with all the styling of its big brother. Sadly, the Ranger will not be offered in the U.S. At least not yet. 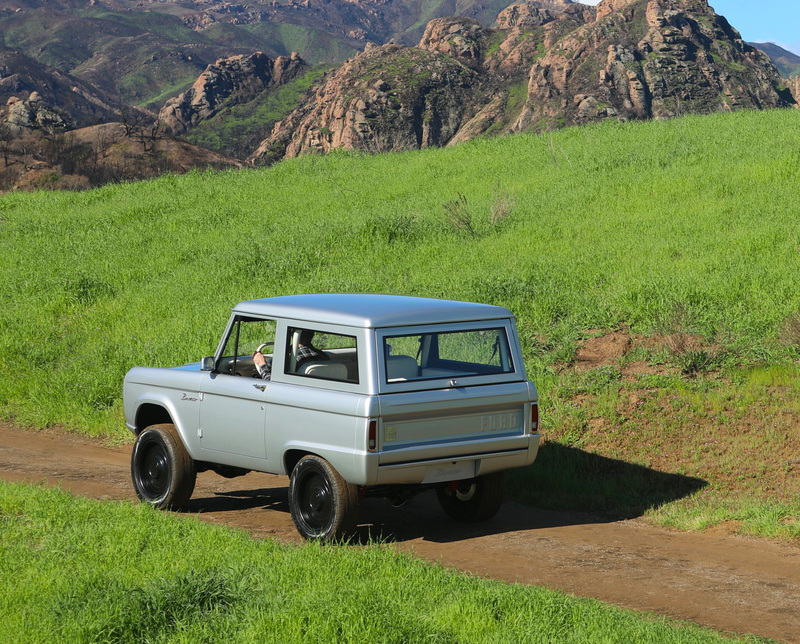 The guys at Iron & Resin teamed up with the resto masters at New Legend to re-create a classic 4×4 adventure-mobile. 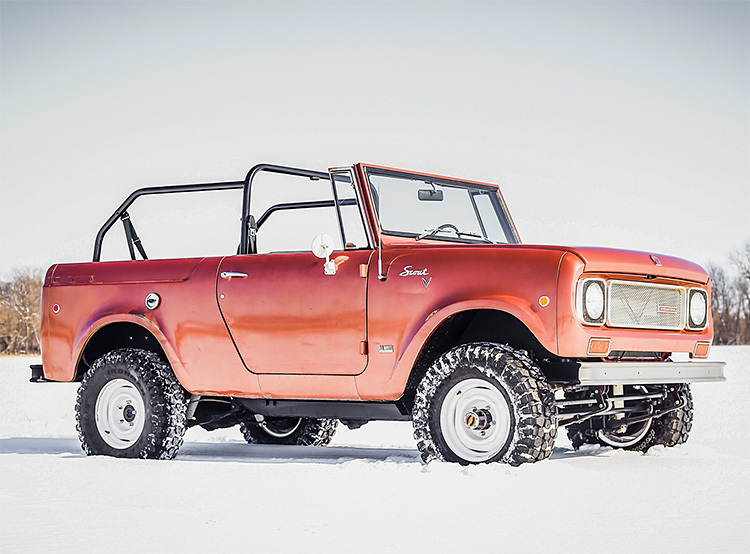 It’s a 1972 International Scout that underwent a full mechanical re-do, now powered by a brand-new LS 5.3 engine and a 4L65 4 speed automatic transmission. Iron & Resin did the interior with the leather & waxed used in their clothes. Other upgrades include premium audio, a RakAttach Swing Arm Moto Mount & a Front Runner Outfitters Roof Rack. The iconic Land Rover Defender is turning 70. 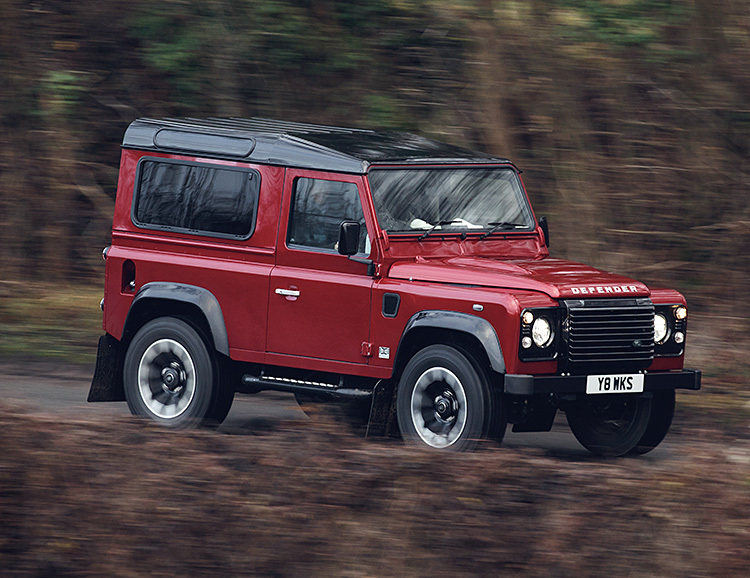 To mark its septuagenarian celebration, Land Rover is releasing a limited 70th Edition Defender powered by a larger-than-original 5-liter V8 that produces more than 400 BHP. That makes is the most powerful Defender ever. And only 150 of these rare Rovers will be produced. 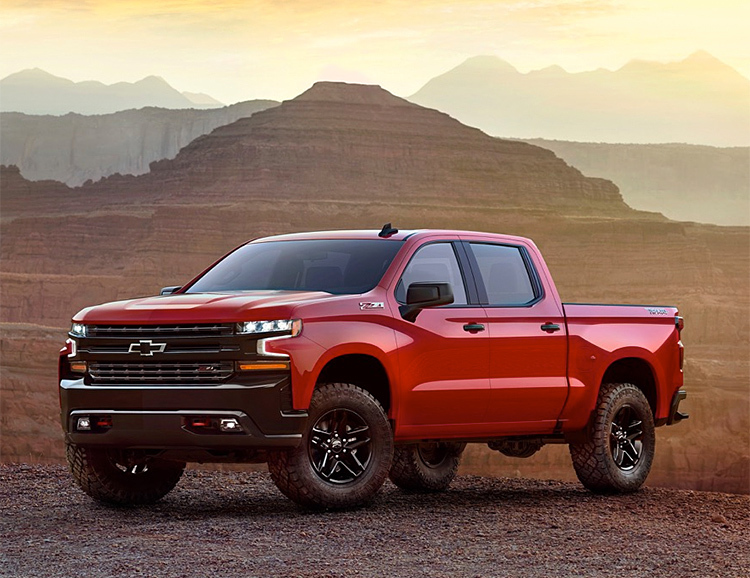 Chevy gave their full-size Silverado pickup a much-needed update for 2019, with a more sculpted body design and rounded wheel wells that have a bit of aggressive flare. Its high-strength steel bed frame and use of “mixed of materials advanced manufacturing” strip away weight to make this Silverado much lighter than the outgoing model. It will be available in a full range of trim levels from LT to TrailBoss to the sporty Z71 package. 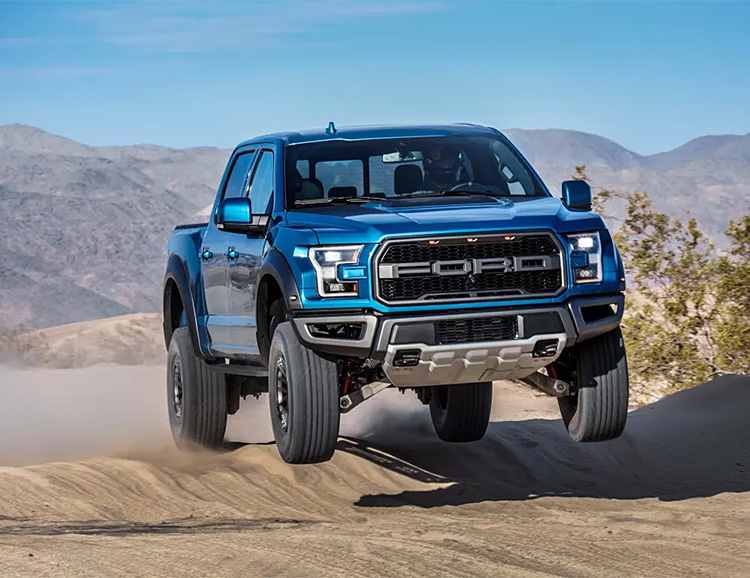 As if Ford’s Raptor performance package wasn’t enough already, Ford teamed up with Shelby America to make the factory-built custom even sicker. 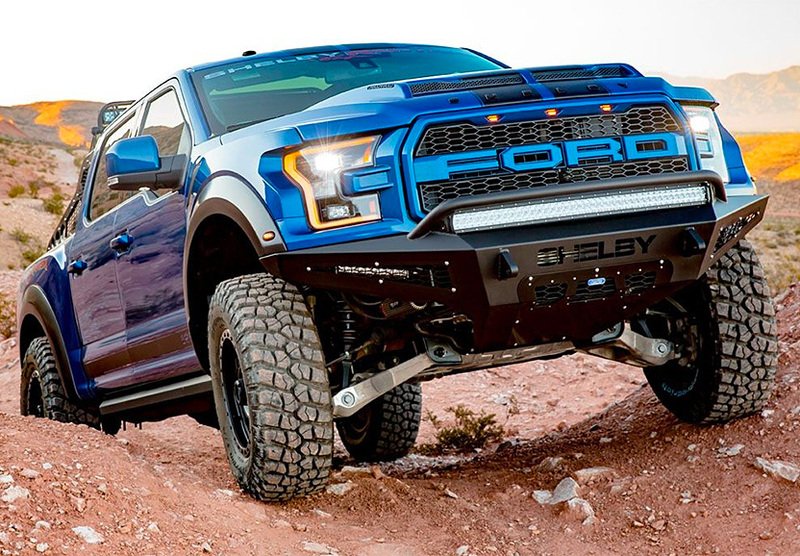 Under the hood of the Shelby Baja Raptor they added an aluminum intercooler and cold air intake with a high flow filter, cranking up the horsepower to 525. It got a four-corner adjustable Fox Racing Stage 2 suspension and a dual-intake ram air hood plus custom bumpers and skid plates, a bed-mounted chase rack, and a race-inspired interior featuring leather seating and Shelby branding throughout. 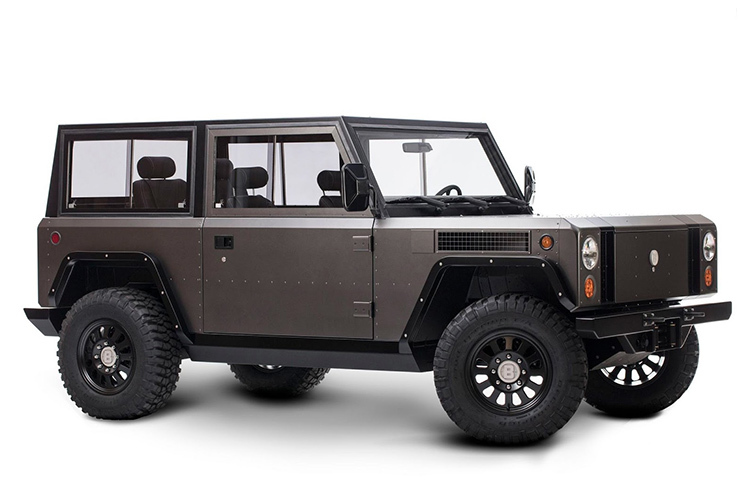 Bollinger Motors, based in upstate New York, just rolled out its first vehicle, an all-electric SUV called the B1. The heavy duty design has a boxy Rover/Hummer vibe and the 100 kWh battery will give it a 200 mile range. It delivers approx. 360 horsepower and 472 lb-foot of torque making it a legit off-road and & work vehicle. 0 to 60 comes in at 4.5. The interior is simple & utilitarian but well designed and also has that vintage-classic vibe. Pre-order yours for 2018.